Another in the series of blogs that take a more detailed look at the history of The Children’s Society’s former children’s homes and social work projects since 1881. 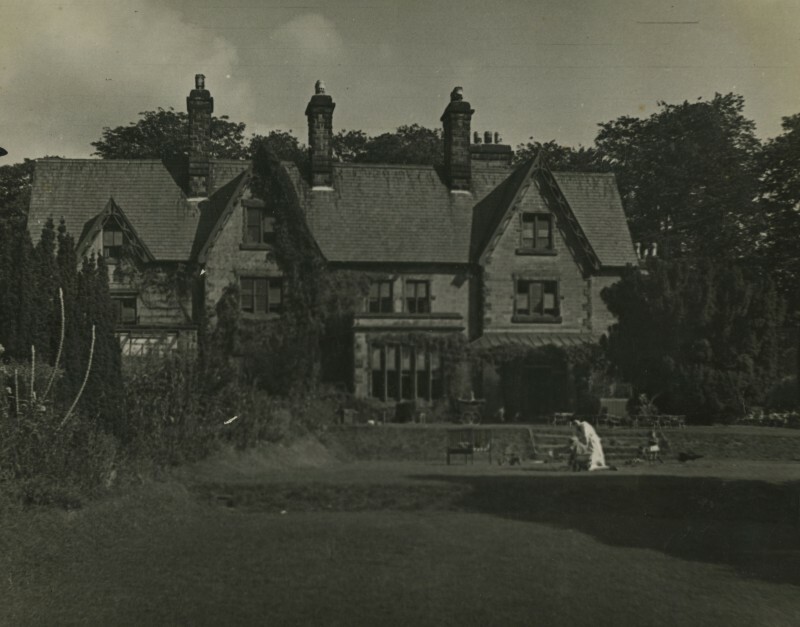 A “family of 40 found heaven”; this was how a reporter from Reynolds Weekly Newspaper in 1942 described Gladwyn War Nursery situated in the village of Gresford, near Wrexham in North Wales, when he visited to write an article for the paper. 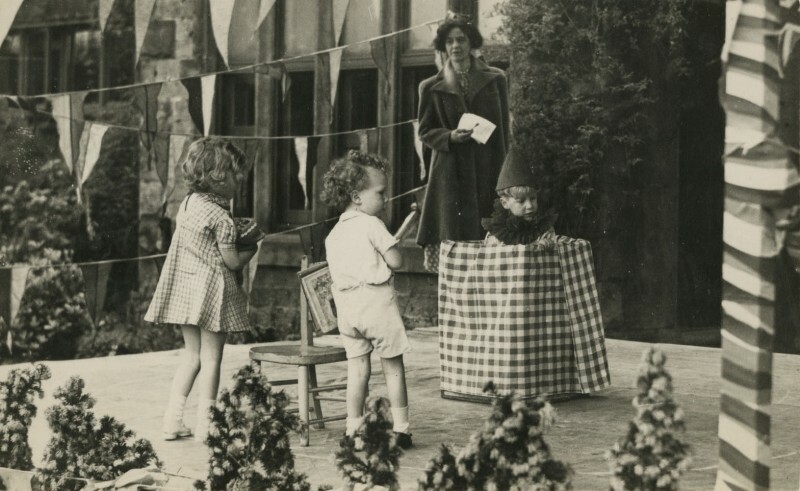 During the Second World War The Children’s Society (known as the ‘Waifs and Strays Society’ until 1946) established 127 nurseries to provide temporary homes for young children aged 0-5 years, who had either been evacuated or made homeless as a result of enemy action. Known as war nurseries, these homes helped 6788 children between 1939 and 1945. The buildings that housed these nurseries were often lent or given to The Children’s Society by their owners. The war nursery programme was extensive and involved the Ministry of Health and the Women’s Volunteer Service (now the Royal Volunteer Service). Gladwyn War Nursery was opened by the Society in 1940 to take forty children aged between 2 and 5; it closed in 1945. The building that housed the nursery was donated to the Society by a local coal mining company, Gresford Colliery. The company took a keen interest in the running of the home, and the colliery manager, Mr Charlton, was appointed as the home’s honorary secretary. Eight years earlier in 1934, Gresford Colliery had been the scene of huge underground fire and explosion that left a considerable death roll. The matron of the nursery was Miss Evelyn Long, who was recruited to run Gladwyn in 1940 on an annual salary of £120. She had a small staff consisting of an assistant matron, a staff nurse, a nursery maid, a teacher, a cook, a gardener and several probationer nursery nurses. As Miss Long noted remarked to the reporter, “When we got here we felt we had dropped into heaven”. The nursery took an active part in the community. For example, Miss Long established a rabbit club at the nursery as part of the general war effort. These clubs were encouraged by the Ministry of Agriculture to help with food production as part of the Dig for Victory campaign to help with food shortages during the war. The Ministry kept a register of rabbit clubs and the Gladwyn club was the 2,000th to be registered in 1942. The club housed its rabbits in an old stable in hutches made from old boxes and broken play pens, noted by the Reynolds News reporter as a way of “helping the National larder”. The reporter recorded that, “seven does and a buck were installed for the purpose of multiplying their numbers and so of contributing to the country’s food resources”. The nursery also held a number of fund raising activities. Popular amongst these was the annual fete. The photograph featured below was taken at a fete held at the height of the Second World War during the summer of 1942. The children took part in several activities and play sketches, one of which was titled “the Allies”, there being a child for nearly every allied nation and each of the armed forces. The art is trying to spot them: the middle two rows of the photograph contain, from left to right, the Russians, the army, the navy, the North African allies, the Red Cross, the Netherlands (? ), the air force, Scotland and Wales. Miss Long, incidentally, is smiling proudly at the centre of the back row. 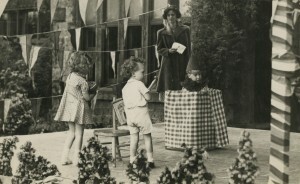 Other events at the 1942 fete were sketches called “The Fairy Wand”, “Jack-in-the-Box”, “Soldiers and Nurses” and the “The Magic Kiss”. 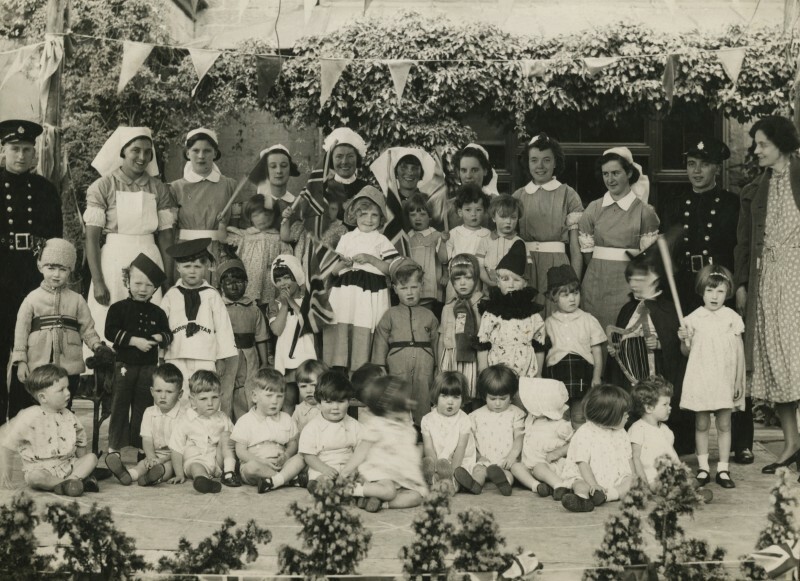 Following VJ Day in 1945 the nursery was closed and the children returned to their homes, many of which were in the heavily bombed areas of London. Miss Long went on to forge a life-long career with The Children’s Society, subsequently becoming matron at children’s homes in Shrewsbury, Beckenham, and Cheam. Do you have any recollections or photographs of the Gresford War Nursery? If so, please share them – The Children’s Society Archive would be interested to hear from you.